Through donations and major purchases, The Evergreen State College Art Collection has grown into a significant permanent collection of modern and contemporary artworks. This important resource is a visual library, teaching about art, and an aesthetic enhancement to the college environment, providing inspiration and access to art experiences for all. Experiencing visual art not only teaches us about how to make art, but also about how to expand our thinking and living in other ways. (see Appendix A for a brief history of the collection). In order to assure the consistency, quality, and long-term care of artworks important to the study of art at Evergreen, the College has established The Evergreen State College Art Collection (TESCAC). Artworks in TESCAC are overseen by the Collection Curator with input from the College Art Advisory Committee (CAAC). Upon acceptance/acquisition into TESCAC, an artwork will be given an accession number, catalogued, maintained, stored and/or displayed according to Collection Policies. If other campus organizations or buildings acquire artworks for their particular areas, these artworks are not considered to be part of TESCAC. When other departments acquire artworks, they are responsible for all aspects of caring for the art, including security, insurance, installation, maintenance, storage, etc. Other organizations or buildings are strongly encouraged to consult with the Collection Curator and CAAC about the responsibilities involved in caring for art. I. The Evergreen State College Art Collection (TESCAC) consists of a Study Collection and a Public Art Collection. 1. Study Collection. These are the artworks that should not be placed on permanent or long-term display due to issues of conservation, security, insurance, etc. 2. Public Art Collection. These are the artworks that should be on permanent or long-term display. II. Washington State Arts Commission Art. Public art acquired through the Art in Public Places program which is governed by rules and regulations as determined by the Washington State Arts Commission (WSAC). This collection is funded through a .5% allocation from state construction dollars and selected by the College Art Advisory Committee (CAAC) with facilitation by the State Arts Commission. This policy is not intended to govern art acquired through this program and these works are not considered to be part of TESCAC. III. College Art Advisory Committee (CAAC). A committee of faculty, staff and students formed to consider acquisition and care of art on campus, whether for TESCAC or the Washington State Arts Commission. IV. The Evergreen State College Foundation (the foundation). 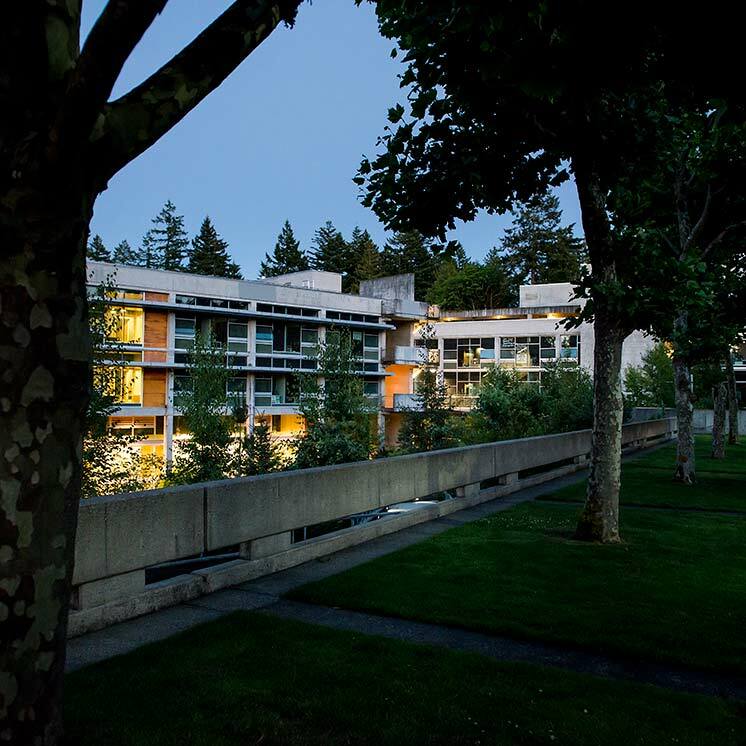 A private non-profit public foundation established for the purpose of providing private gifts to The Evergreen State College in accomplishing its educational mission. V. The Evergreen State College (the College). Refers to the College in its meaning as a public entity governed by the rules and laws of the state of Washington and a public institution of higher education. A. Establishment of the College Art Advisory Committee. • When possible, there will be a student on the committee. The student will be recommended by Visual and Environmental Arts faculty and will make a commitment to participate for at least one full academic year. The committee may at any time recommend the expansion of the committee. Any additional faculty members must be approved by the agenda committee consistent with the Faculty Handbook. B. Role of the CAAC. • The CAAC reviews every artwork offered as a donation to the Foundation or the College and every work being considered for purchase by the College or the Foundation on the College’s behalf to determine whether it should be accepted into or purchased for TESCAC. This includes works being acquired through Washington State Arts Commission’s Art in Public Places program. • The CAAC receives regular updates from the Collection Curator about the condition of the collection. The CAAC considers care and conservation issues and advises on these issues. The CAAC also considers and advises on care and “routine maintenance” for Washington State Arts Commission artworks, in accordance with agreements between the College and WSAC. If WSAC artworks require more than routine maintenance and should be repaired or restored, the CAAC refers this to WSAC and continues to be involved in the process as requested by WSAC. • Regular CAAC meetings to review possible donations will as much as possible be scheduled only once per quarter. CAAC meetings to select art for Washington State Arts Commission’s Art in Public Places program will happen according to the Arts Commission’s scheduling. Other CAAC meetings will be scheduled as needed. C. Role of the Collection Curator. • All artworks in TESCAC are overseen by the Collection Curator with input from the College Art Advisory Committee (CAAC). • The Collection Curator is knowledgeable about the condition and care needs of artworks in TESCAC. S/he regularly apprises the CAAC on the state of the collection, presents documentation, and makes recommendations based on best standards of care. 2. Artworks not for TESCAC. Generally, other areas of the College are discouraged from accepting donations of art without consulting the College Arts Advisory Committee. If other campus organizations or buildings acquire artworks for their particular areas, these artworks are not considered to be part of TESCAC. When other departments acquire artworks, they are responsible for all aspects of caring for the art, including security, insurance, installation, maintenance, storage, etc. While such pieces will not become part of the official College art collection, if given to the College they are assets of the College and need to be treated accordingly. They will need to be inventoried, assessed in terms of value, and cared for appropriately by the department acquiring the art. Other organizations or buildings are strongly encouraged to consult with the Collection Curator and CAAC about the responsibilities involved in caring for art. 1. TESCAC criteria for acquisition of artworks. B. the College and TESCAC must be able to commit the necessary resources to the long-term care, security, insurance, maintenance, display and/or storage, of the artwork. Display includes installation, signage, lighting, etc. Before the donation process can begin, anyone interested in donating an artwork must talk with the Collection Curator. The Collection Curator will discuss what commitments TESCAC can or cannot make, the timeline for the CAAC to review donation offers, and the criteria (outlined above) that CAAC considers in making their decisions. Often, a donor will want to give artwork to the Evergreen Foundation. Advancement staff will work closely with the Collection Curator to assure that the requirements of this policy are met. Any artwork intended to become part of TESCAC will go through the process outlined above: talking with the Collection Curator and review by the CAAC. Donations should be made without restrictions or special conditions about use, display, future disposition, except in the most exceptional circumstances. Donations offered by faculty and staff will be reviewed by the CAAC and must meet all criteria described in this policy. Students — it is exceedingly rare that the CAAC will accept donations of art that has been made while the person is still a student. Alumni are encouraged to consider donations of their mature artwork at a later date. Additionally, a digital archive of student artwork is being created. Artworks should be surveyed annually. The Collection Curator will then report to the CAAC on the overall state of the collection, specific artworks that need maintenance or repair, and a suggested plan for collection care during the year ahead. Based on knowledge of the collection and of the art market, the Collection Curator will determine when appraisals of certain artworks are needed. The Collection Curator works with Business Services to compile information needed for College accounting purposes. This includes valuations for insurance, asset reporting, etc. Deaccessioning is the formal process used to remove an object legally and permanently from TESCAC. It is a practice intended to refine and improve the quality and appropriateness of TESCAC. Deaccessioning a work of art requires exceptional care and results from rigorous examination. Deaccessioning is related to TESCAC’s purposes, policies, resources, and long-term goals and is not a reaction to the exigencies of the moment. The CAAC reviews every artwork being considered for deaccession. The Committee determines whether and how to proceed with the deaccession by voting, with at least two-thirds of the committee votes needed to decide on these actions. Damage or deterioration: The artwork has been damaged beyond repair, deteriorated to the extent that it no longer represents the artist's intent, damaged/deteriorated to the extent that the cost of care outweighs the value of the artwork, or its conservation and maintenance causes an unreasonable strain on the assets of the collection. No suitable site can be found for a portable artwork. Site alteration. For site-integrated artworks, in the event that the site for which the artwork was specifically created is structurally or otherwise altered and can no longer accommodate the work, is made publicly inaccessible as a result of new construction, demolition, or security enhancement, or has its surrounding environment altered in a way which significantly impacts the art, that artwork may be considered for deaccession. The artwork represents a threat to public safety. Unsuitability for either the Study Collection or Public Art Collection. The artwork would be more appropriately housed by another collection or institution. Absence of clear legal title or erroneous inclusion in the collection. It is the obligation of the CAAC to ensure that all disposals with regard to the Collection be formally and publicly conducted and adequately documented. The CAAC will proceed with attention to and respect for the artist’s rights and reputation. In the case of works of substantial value, outside review and formal appraisals should be obtained. Artists whose work is being considered for deaccession shall be notified by mail using the current address provided by the artist. In the case of site-specific work, the artist will be consulted regarding the best course of action. If the purchase or acquisition agreement with the artist includes stipulations about this process, the stipulations will be observed. The decision to deaccession an artwork will result from at least two-thirds of the CAAC’s votes being in favor of that action. Upon this decision to deaccession artwork, the Committee will consider what action should be taken. Every step will be taken to arrive at a mutual balance between observing the rights of the artist and maintaining the quality of TESCAC. 1. Trade through artist, gallery, museum, or other institutions for one or more other artwork(s) of comparable value by the same artist. 2. Sale through art auction, art gallery, or dealer. 3. Long term/indefinite/permanent loan to museum collection or governmental agency. 4. Gift back to the original artist. 5. Destruction or recycling of materials comprising the artwork so that no piece is recognizable as part of that artwork. A permanent record of the artwork's inclusion in The Evergreen State College Art Collection, and reasons for its removal, shall be maintained in a Deaccessioned Collection file, and will be kept as a separate section of The Evergreen State College Art Collection records. If deaccessioning results in any funds coming to the College, those funds will be used to strengthen TESCAC, by acquisition of additional works, or by conservation or display of works already in the collection, whenever possible. If deaccessioning results in any funds coming to the foundation, those funds shall be held in an arts account to be used at the discretion of the CAAC to strengthen or preserve the Art Collection. The College’s art collection has developed over the past 35 years in several phases, and without benefit of an overall design or plan. A. Donated Works: Beginning in the early 1970s, patrons of the College, members of the community, and some individual faculty and staff members began to donate works of art to the College. These works were not reviewed by a collection committee. They were donated with no specific intent or restrictions stipulated regarding their use, placement, and disposition. B. The “Teaching Collection”: purchased in 1976-77, was part of the construction funding for Lab II. The funding was committed to art purchase because the State of Washington was creating the Art in Public Places Program, or the 1/2 of 1% for Art Program. Evergreen’s project pre-dated the final enactment of this law, but the funds that had been set aside were still used for purchasing art. These are not Washington State Arts Commission artworks. The then-existing Visual Environments Group (VEG), which included many of the visual arts faculty, was charged by the Provost to develop a plan. The VEG developed a guidelines document. C. 1/2% for Art Purchases: Since the law was enacted, artworks have come to Evergreen through the Washington State Arts Commission process and will continue to do so.